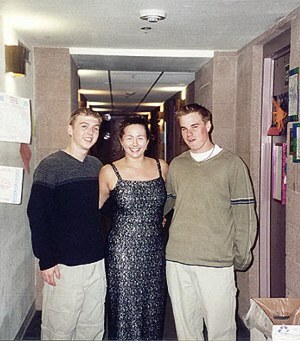 One of my favorite pictures.... Eric, Me, and Nick before my formal. 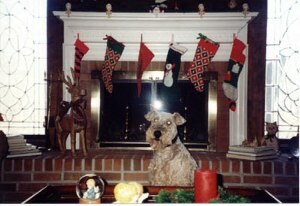 This is my puppy dog Cammie, an Airedale Terrier. Isn't she cute?!?! 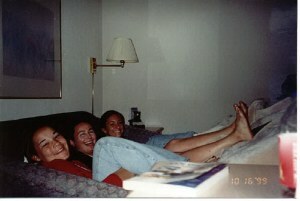 Brye, Me, and Lisa.......having a little fun on the Hide-a-bed in our hotel room in San Diego. 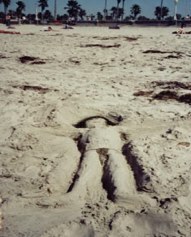 The Sandman, created by Brye. 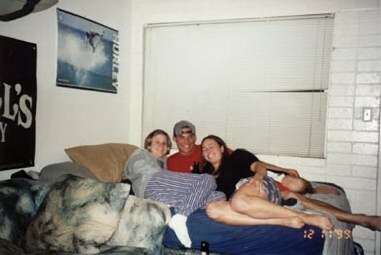 Chelsea, Mike, and me. Mike and his roommate Shane were nice enough to give Chelsea and I a place to stay when we got stranded in San Diego with no where to go. 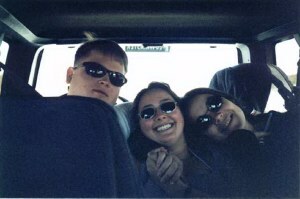 Shane, Me, and Brye. Yet another trip to California, this time to LA and Edwards AFB to see Shane and Chad. 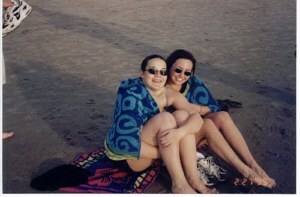 Brye and I on the beach.........in FEBRUARY!!! Are we nuts or what? ?